What do New York and Montreal have in common? They both pride themselves in their deli meats; Montreal with their Montreal Smoked Meat, and New York with the pastrami. Whenever I get a craving for some of these deli sandwiches, I drop by Peter’s on Eglinton In Mississauga to order take out. You also have an option to dine in, with an extensive menu, large portions, and a relaxed family atmosphere, be sure to give it a try. 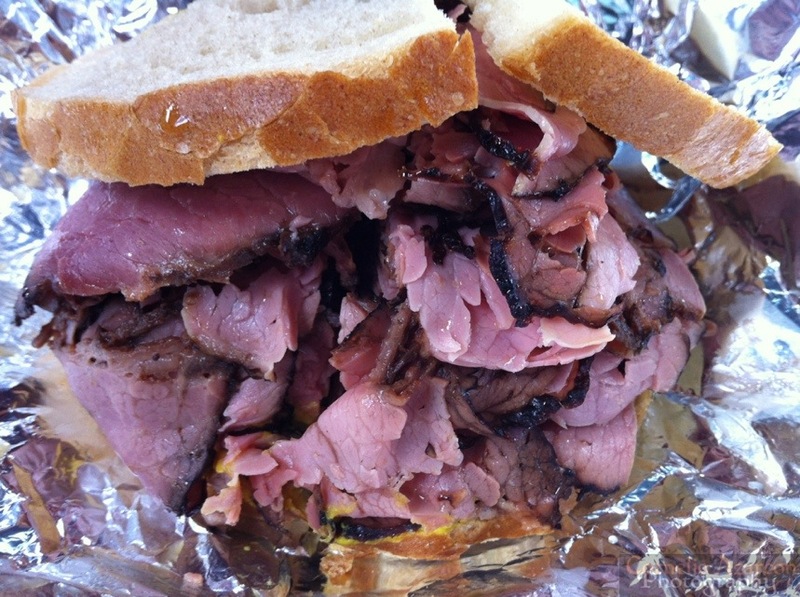 The Montreal Smoked Meat on rye ($8.95) is quote tender and juicy. The restaurant uses deli meats from Lester’s Deli in Montreal, one of the best deli meat producers in Canada. The sandwich comes with layers upon layers of meaty goodness. 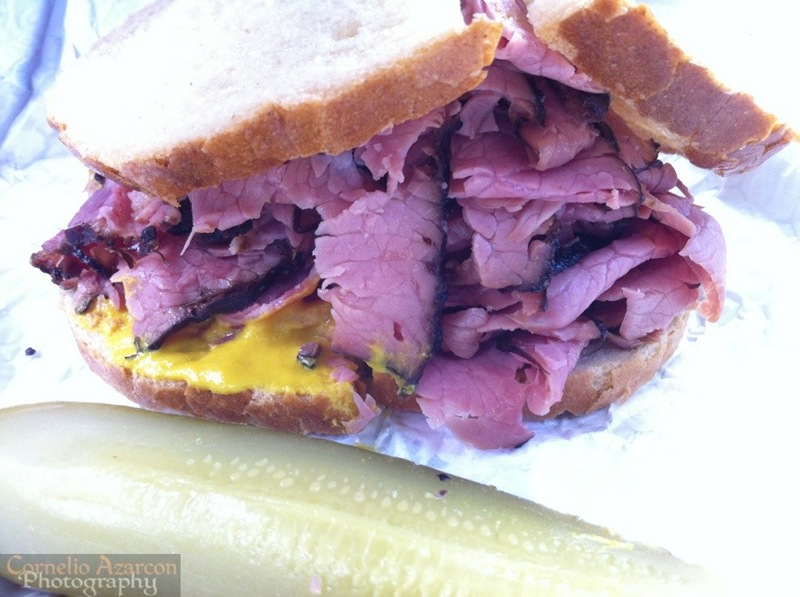 The Pastrami on rye ($8.95) is similar to the Montreal Smoked Meat with slight differences in spices. Overall, both good sandwiches. Only downside is it only comes with a deli pickle, and not topped with any lettuce or tomatoes. For a few dollars more, you can supersize to include fries and coleslaw. Yes, they’re huge…but in this Man vs Food scenario, I think Man can easily win this round. Just like the disclaimer on side mirrors stating “images may seem closer…” food always looks bigger in pictures.